Manufacturers of Log Cabins – Who is making your logs? Manufacturers of log cabins tend to be located in places where there is plenty of timber close by. So you will often find them in places like Scandinavia and Canada, where there are huge forestry industries and sustainable woodland. 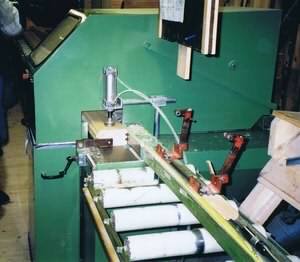 More recently though log manufacturers have set up in countries where production costs are lower. What is critical is your log producer is manufacturing to a high standard, from a good quality and sustainable supply of timber. So what things can you find out about Manufacturers of Log Cabins? The location of manufacturers of log cabins, can give us a good clue as to what to expect. We know for example some countries have a long established history with making logs, and it is likely there is a good skilled workforce with lots of experience to operate the facilities. The location also has a large bearing usually on the timber which is actually used for the logs. Whilst this is not always the case, mainly companies will try and have a good source of timber within fairly close reach, so that transport costs are kept to a minimum. Timber is a bulky product and so moving it around, definitely can impact on the overall cost. Who is the company that produces your log cabins? Have they been established for a long time? What size are their facilities like and how modern is the production line? Whilst you may not find out lots of detail on this subject, some basic information can go a long way to re-assuring you that you are making the right choice. Remember any log cabin is only ultimately as good as its’ logs, so even if you are only buying the log shell, make sure it is up to the mark. Production facilites do vary considerably. This doesn’t mean an old fashioned factory heavily reliant on human input is not good, but you can often get a feel for what a company is like. A lot of facilites are now heavily computerized, with log production being automated. Remember that how logs are packaged and how well all the associated drawings and instructions are done, also makes a difference to the overall project. If you can't find any details out on the internet about your log producers, ask the person you are buying from. It’s your money and you have a right to know! This will be covered at length in other sections, but it is worth mentioning here too. 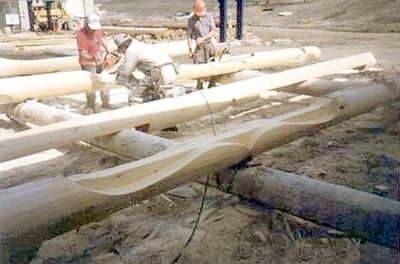 You want the best timber possible, for the budget you are working on. Timber quality does vary enormously and we will reveal simple ways for you to know what is good and what isn’t. Also in today’s green and responsible world, you need to know that the timber being used is coming from sustainable and well managed sources. In some countries like Finland for example, even with a massive amount of log producers, the area of forest is growing annually, due to carefully managed replanting programs.